Why You Need This: Got the carbs off for a rebuild? Replacing that leaky petcock? 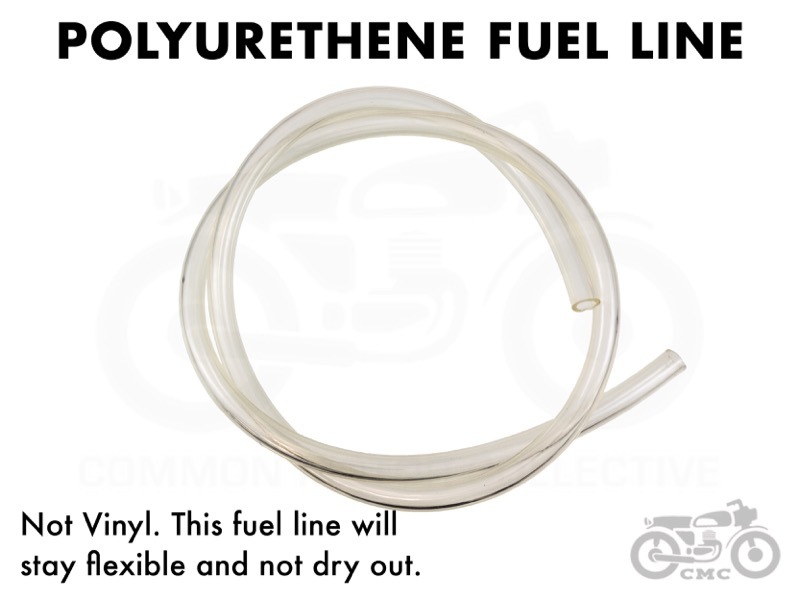 Why not use some nice, clear, polyurethane fuel line when putting it all back together? This fuel hose is made from a flexible ester-based polyurethane that is resistant to fuel, oil, and grease. It yellows slightly with time, but remains flexible, tough, and abrasion resistant. Sold in 3 foot lengths with 6 squeeze-style hose clamps. Installation Tip: Use a tubing cutter to cut ends as close to 90 degrees as possible. Use light oil on extra-tight, extra-tough fittings. 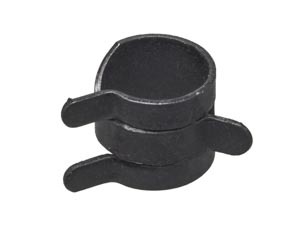 Avoid metal automotive-style hose clamps on fuel line this small, as they tend to apply uneven pressure. The included squeeze-style clamps or small zip ties do the job just fine. I could have probably found this closer to home but I wanted to support the cause. I also liked the fact that it came with the spring clips instead of regular hose clamps, looks much more factory. Worth the money to me. Got enough to go from the petcock to both carbs and the cross over on the tank with some left over and the pinch clamps work fine and look cleaner than hose clamps. 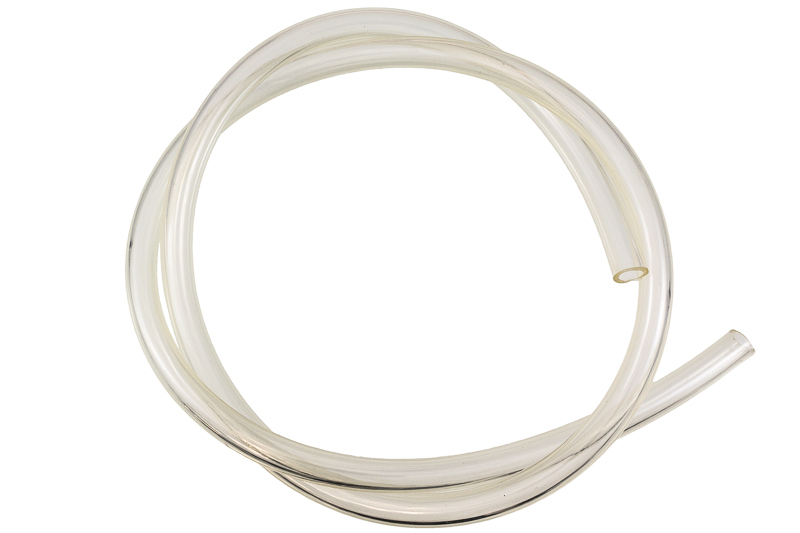 This fuel hose is just what you need to replace the old worn and cracked stock fuel lines. Modern clear tubing the perfect size and fit for your Honda. The clamps included are also a perfect fit for leak and trouble free running! This clear tubing was a great fit for the petcock and the carbs, and I love the clear so you can see the fuel flow and it blends in well with the overall bike.